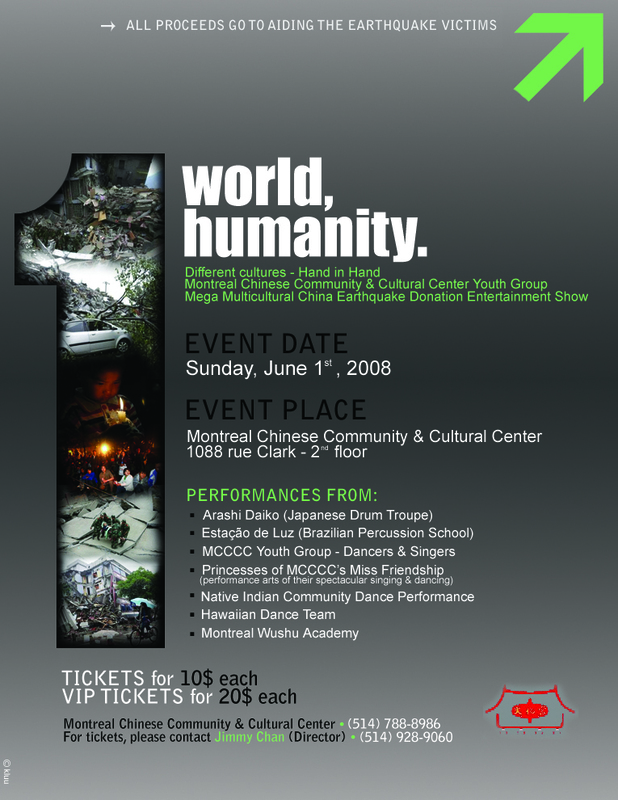 Jimmy Chan organized and hosted an event to raise funds for the victims of the Sichuan earthquake in China. With the help of several performers and communities all over Montreal, Jimmy managed to raise over $10,000.00 for the Red Cross. It was a very successful event. A big thanks to everyone who made this success possible!